There is no denying that space watches provide watch brands with an irresistible marketing angle. A watch that has travelled to the moon or into space has an indelible allure for watch collectors. What is the pinnacle of adventure if not deep into the unknowns of outer space? 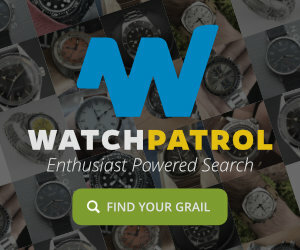 The watch companies know it, and if any of their watches have an association with space exploration, it’s likely you will too. Yet these watches somehow transcend the empty promises of magazine marketing. Rigorously tested to survive the extreme conditions of space travel, these watches are built to survive in mission critical situations, from the deep vacuum of space to the harsh cold of the lunar surface. The trials were designed to literally test the watches to destruction. Exposing timepieces to massive oscillations in temperature (93ºC to -18ºC), massive forces up to 40Gs, corrosive oxygen environments, humidity, noise and vibration – literally everything that could potentially damage a watch was loaded into this battery of tests. Few watches survived, but those that did were made official equipment for the various worldwide space organizations. 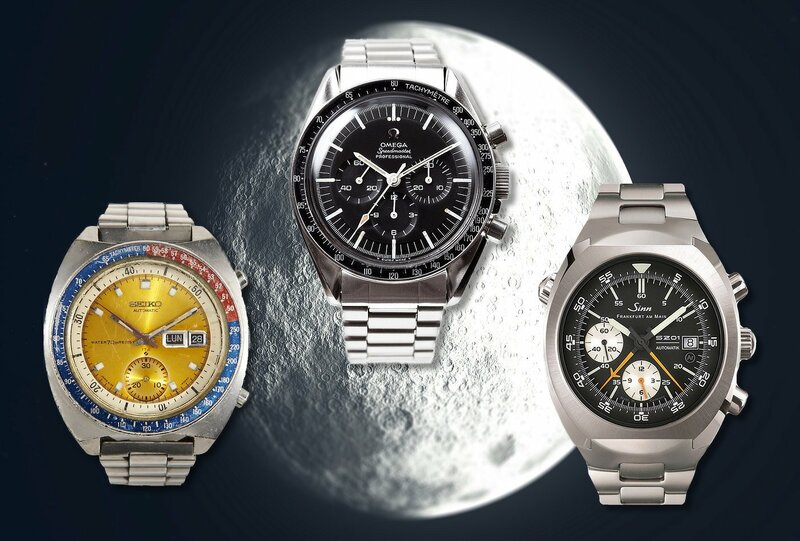 Some are widely known, like the iconic Omega Speedmaster and its role in the NASA led moon landing. 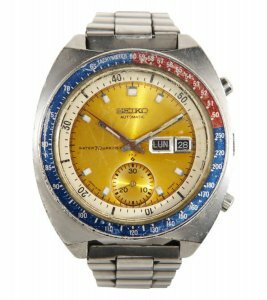 Others are less recognized, like the Seiko 6139 worn by Colonel Pogue on the Skylab in 1973. With their fascinating stories, “space watches” are a collectible and highly desirable niche that appeal to collectors of all levels. Today I’m featuring five of my favorite watches that have survived the perilous journey into space and beyond. Undoubtedly the most famous watch worn in space, the Omega Speedmaster ST145.012 is an horological icon. In 1969, Buzz Aldrin stepped onto the lunar surface as part of NASA’s Apollo 11 space program, making history as the first man (and watch) to land on the moon. Although the Omega Speedmaster has been produced with a prolific amount of variants, the ST145.012 is still available today second-hand. If you prefer not to wade into the depths of vintage watches, the Omega Speedmaster 3570.50 is still in active production and shares the same design as its iconic predecessor – minus the lunar dust. The Sinn 140 “space chronograph” holds a special place for collectors of German wrist watches. Worn by German astronaut Reinhard Furrer as part of the Spacelab D1 mission in 1985, the Sinn 140 was considered the first automatic chronograph worn in space for many years. 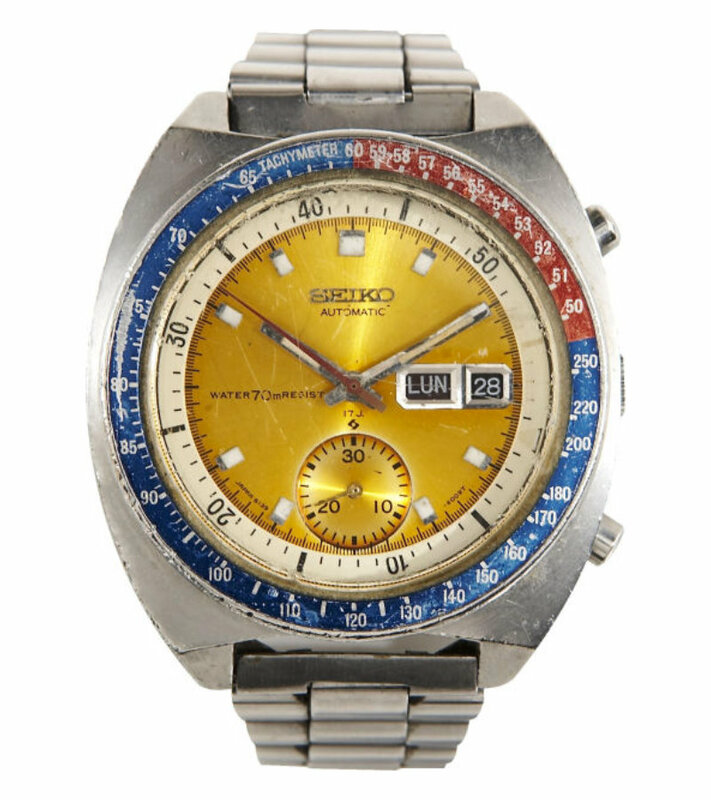 Although this was later debunked by photos of the Seiko 6139 worn on the wrist of Commander William Pogue 11 years earlier, it still remains one of the most desirable and collectible “space watches” available. There is some actual debate as to whether the watch worn by Furrer was a Sinn 140 or a Sinn 142, and actual photographic evidence suggests it may be the latter. 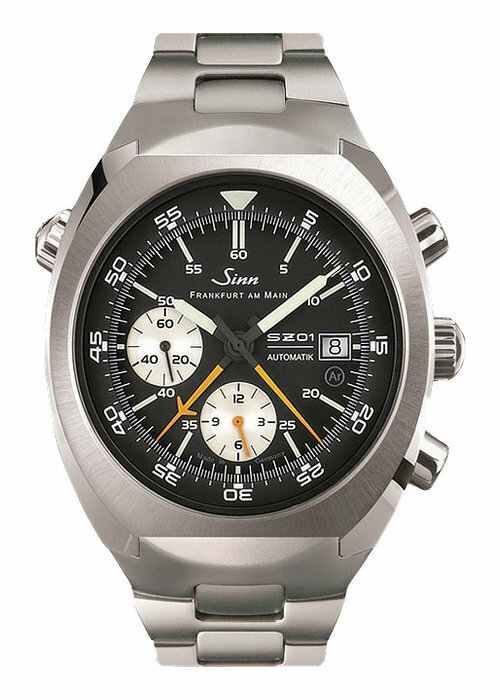 However, both the 142 and 140 have been to space, and the latter was commemorated with a limited edition re-release (Sinn 140 A) of this iconic watch. 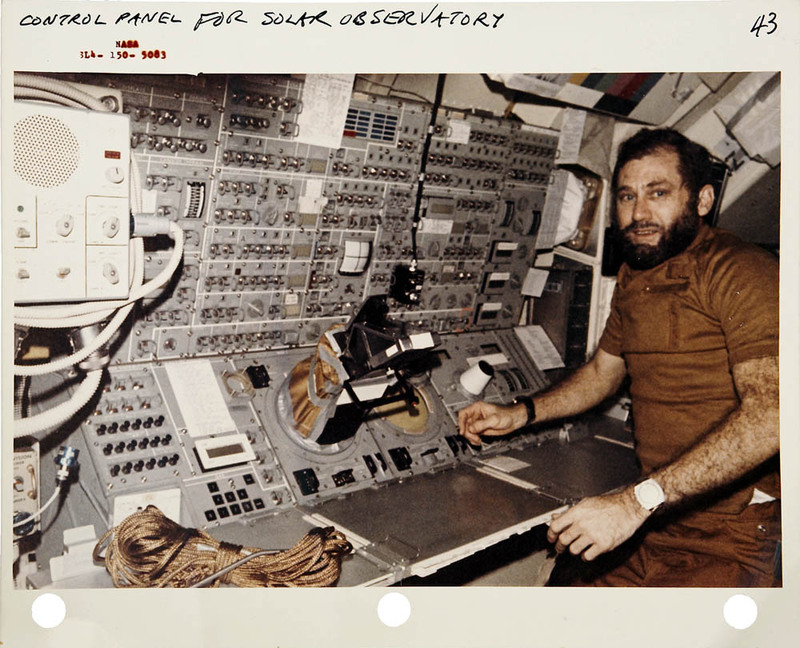 Even though Sinn was given credit for the first automatic chronograph in space for many years, it wasn’t until recently that an eagle-eyed Seiko-fan spotted a 6139 in a photo of Colonel Pogue at a NASA Skylab control panel in 1973. Although it wasn’t official NASA kit, NASA allowed him to bring it on the mission along with the official mission timers. 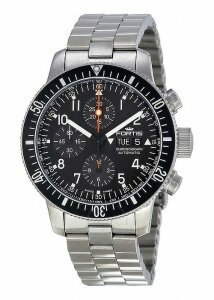 Fortis’s role in space exploration is generally lesser known than some of these other watches I’ve featured today. During the Russian-German joint space mission to the MIR space station in 1997, the Fortis Cosmonaut Chronograph was provided as the official timepiece. Not surprisingly, it is still provided today to all cosmonauts leaving the Yuri Gagarin Cosmonaut training center. The B-42 is still available today for civilian purchase, and an extremely limited edition (300 pieces) modified titanium version can be had, featuring the world’s first mechanical alarm and COSC chronometer designation. 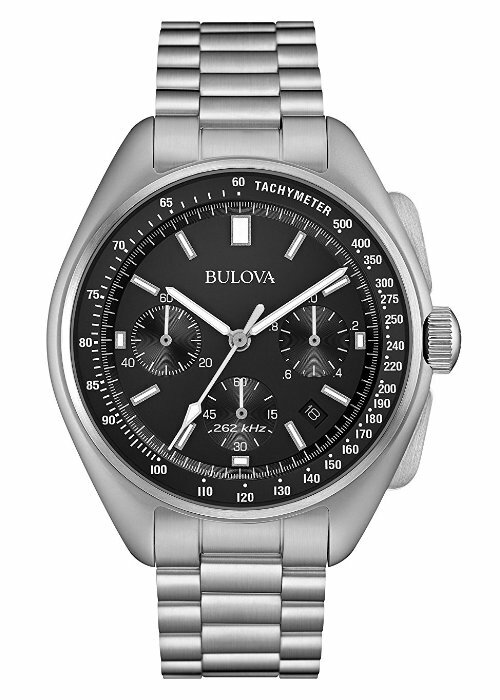 The Bulova Moon Watch is known by many as the “poor-man’s Speedmaster”. 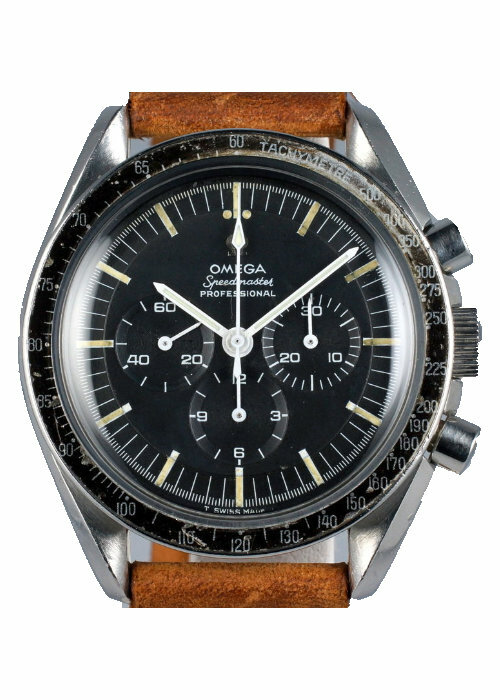 But did you know this iconic chronograph was actually worn in space as well? During the NASA Apollo 15 mission, Dave Scotty’s NASA-issued Speedmaster suffered a mechanical failure, losing it’s crystal in the process. Luckily, Scott had packed his own personal Bulova Chronograph as a backup, making it the only privately owned watch to be worn on the moon’s surface. 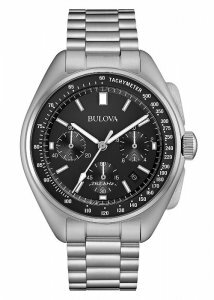 Today, Bulova makes a faithful recreation of this watch, utilizing a high-beat 262 kHz quartz movement. This innovative accutron technology was actually utilized in NASA instrument panels in 46 separate NASA missions, further solidifying Bulova’s role in American space exploration. And for less than $500, it’s one of the more affordable watches on this list. A vintage example won’t be as easy to come by however, with Dave Scott’s actual watch recently being sold at auction for $1.625 million dollars. Great article! Seiko, Bulova & Casio hardly ever get recognition for space contributions. They are the everyman space watches! Thanks! Agreed, I should have mentioned the Casio DW-5600 — a cheap watch that was used extensively by NASA! Wow, no Fiyta on the list? Chinese exploration wasn’t mentioned at all, in fact. As you can’t have the latter without mentioning the former, perhaps this wasn’t simply an oversight, but, rather, by design? The Fiyta Aeronautics collection produces automatic chronograph watches designed for and worn by Chinese astronauts in space. In fact, the coolest thing about them is that the minute counter subdial counts up to 45 minutes, rather than the standard 60 or 30, because of specified needs for counting down coordinated landing times. It’s truly a gorgeous timepiece!